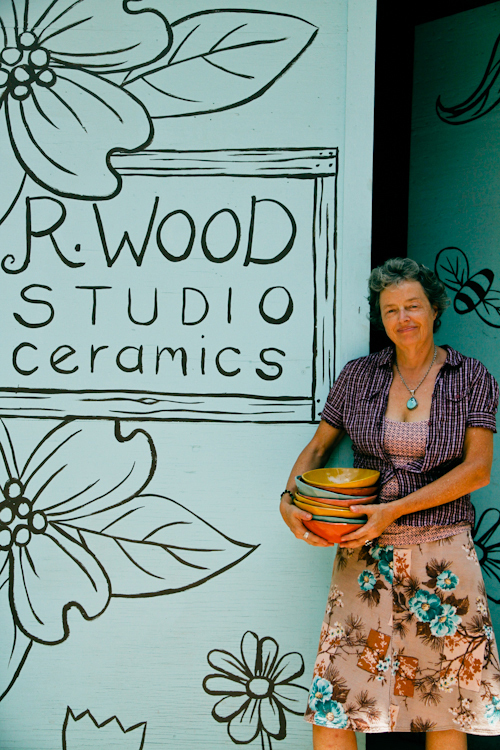 If anyone has spent some time in Athens, Georgia, then you need no introduction to R. Wood Studio. 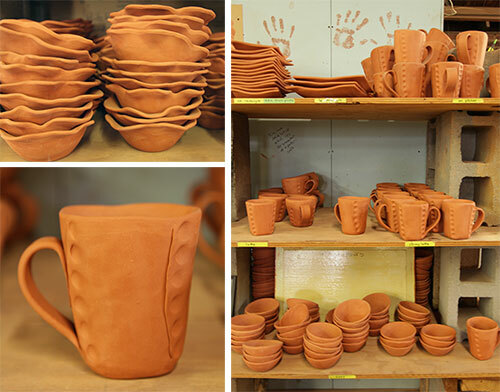 In this large retail shop and workspace housed in an old produce warehouse, Rebecca Wood has created one of the largest, most recognizable pottery studios in all of America. 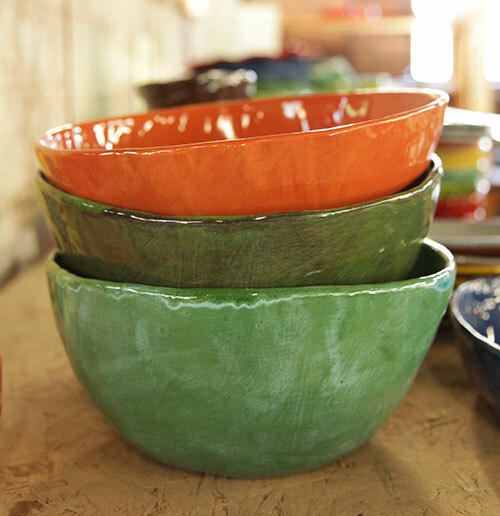 Every piece of pottery found here is made and painted by hand and instantly feels like an R. Wood creation simply by its shape and color. It all began in 1987 when Rebecca, always an artist and maker of things- from jewelry to clothes, tried her hand at pottery. 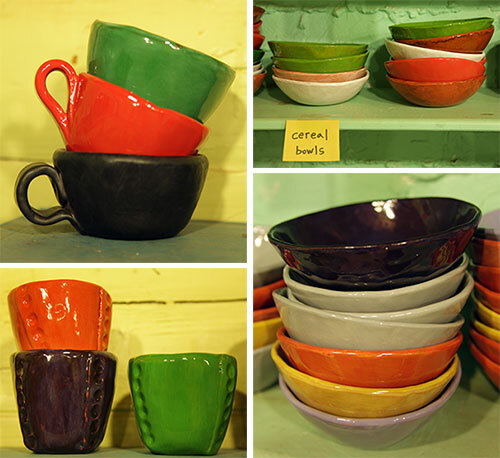 After purchasing an old kiln at a yard sale and creating pretty dishware with her hands, buyers began to notice...and place orders. The business, like her newfound passion, was organically born. 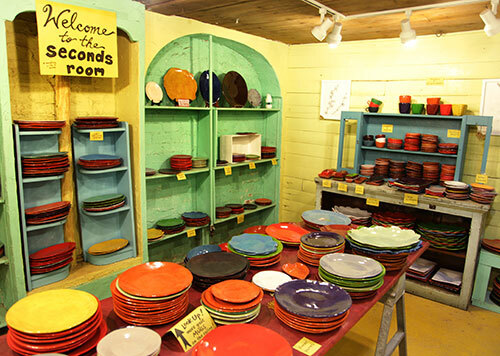 When you walk into R. Wood, one of the first things you'll notice is the 1st tables, where a variety of dishware is available for sale. 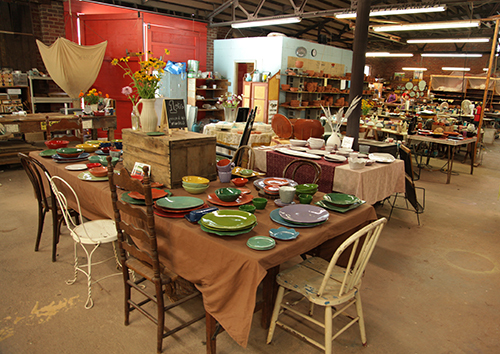 You'll find everything you need to set a table here- from rice and dipping bowls, creamers and cups to baking dishes and antipasti plates. There are currently eight artists that work full time in the studio, from 30-40 hours per week. 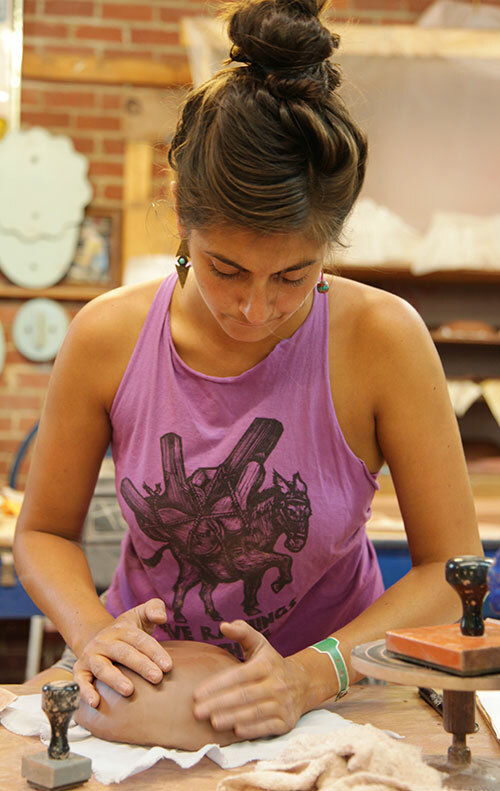 This is Michele, who is crafting bowls using a slab and her own handiwork. It's kept southern and local here, even the clay is from just up the way in North Carolina. From top left, Michele, Michael and Caden were hard at work the Saturday afternoon I stopped by to take a few pics. 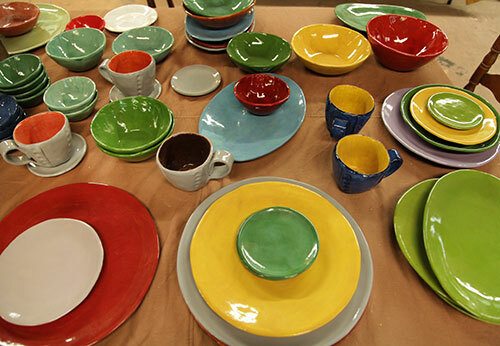 As Caden shared, the work here is disciplined and thorough, as many dishes are hand painted with as many as five coats.